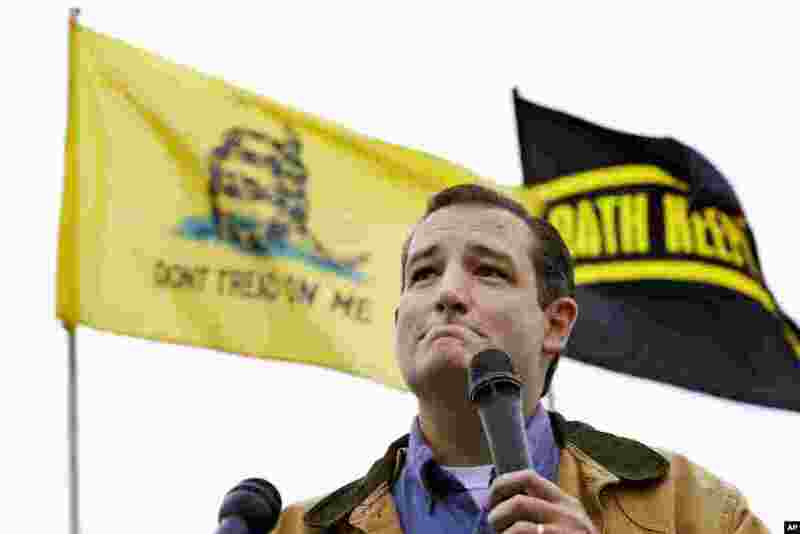 5 Senator Ted Cruz, R-Texas, speaks at a rally at the World War II Memorial in Washington, Oct. 13, 2013. 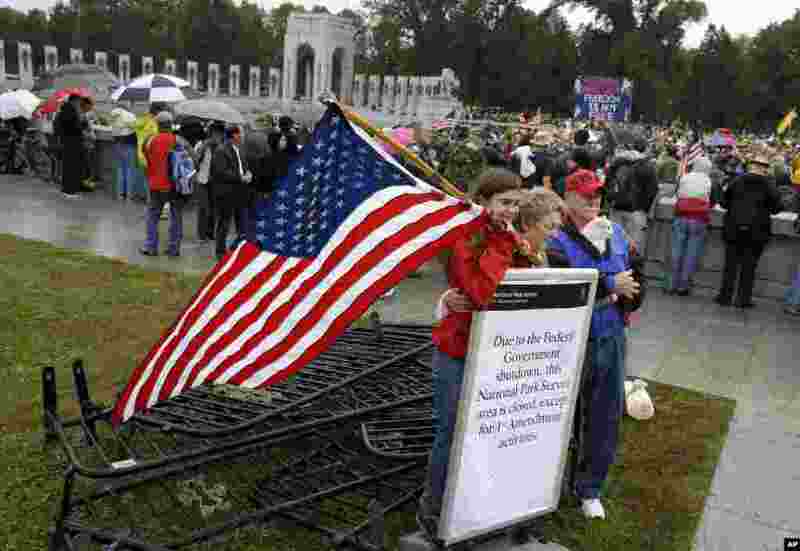 6 Kaylee, Sherry and Michael Cantrell pose for a photo with a sign and removed barricades at the World War II Memorial in Washington, Oct. 13, 2013. 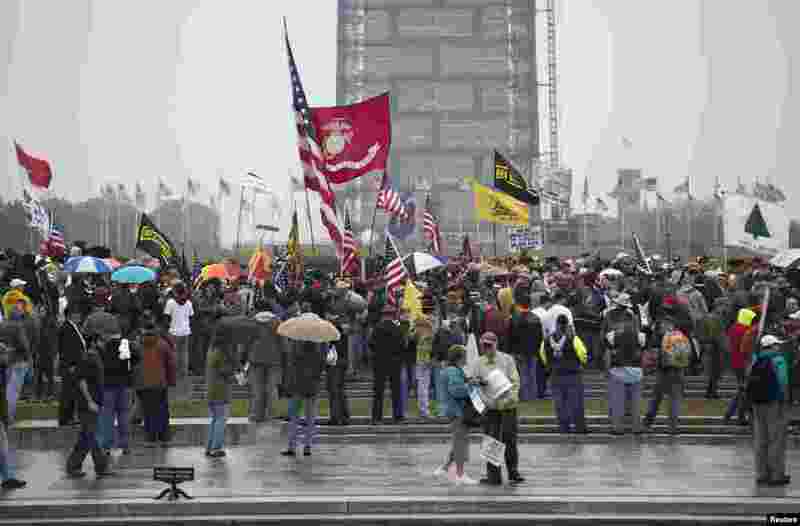 7 People rally at the World War II Memorial in Washington, Oct. 13, 2013. 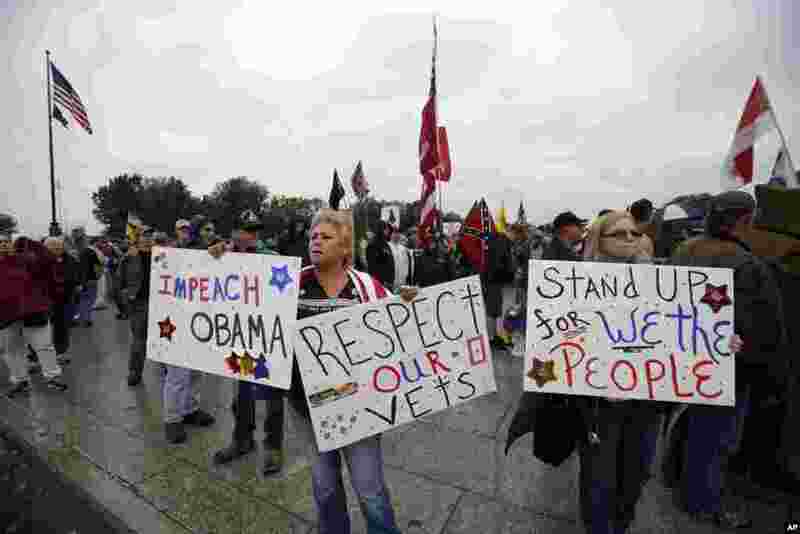 8 Protesters rally at the National U.S. World War II Memorial in Washington, Oct. 13, 2013.